This report is prepared as a partial requirement of BBA program of the Department of Business Administration, Stamford UniversityBangladesh. Banks are the most important parts of the financial system of any country. Specially, developing country like Bangladesh, proper banking system is very important and essential to play a vital role, because our capital market system is not advanced like other country’s capital market. I have done my internship on a important branch of First Security Islami Bank Ltd. (FSIBL). My internship report is based on the General Banking and its impact on the economic development of Bangladesh of the First Security Islami Bank Ltd, to gather knowledge for my future career and to identify the problems regarding this matter and to overcome the problems. It contains the working experience of different task of FSIBL in Ring Road branch, I have acquired knowledge about General banking department. General banking department usually performs a lot of important banking activities. General banking department is the department which is mostly exposed to the maximum number of bank customers. It is the introductory department of the bank to its customers. Information of Annual Report -2009, prospectus and website of FSIBL are used in this report. There are also focused on the activities of economic development of Bangladesh and FSIBL’s social responsibilities as a corporate citizen. At last the findings of the FSIBL are expressed during the period of doing internship in the Ring Road branch. The Internship Program has conducted in First Security Islami Bank Limited, Ring Road Branch, one of the reputed third generation banks in the growing banking sector in Bangladesh. This report titled on “General Banking Activities of First Security Islami Bank Limited and Its Impact on Economic Development of Bangladesh”. This is a report of internship program of BBA, supervised by Nadia Farhana, Assistant Professor in the Faculty of Business Administration, Stamford UniversityBangladesh. The intern was placed in “First Security Islami Bank Ltd” for the three months (9August, 2010 to 9 November,2010 ) internship to have a practical grasp over the organization’s activities. The Topic of the report is proposed to be “General Banking Activities of First Security Islami Bank Limited and Its Impact on Economic Development of Bangladesh”. Banking sector of the world is contributed in the present global economy. To establish a strong banking sector it is required to have good study in banking operations. Today’s Economic policy is concerned to obtain the optimum economic condition in a country’s economy. Banking sector and banking activities are playing a vital and important role to achieve that optimum goal of the economy. The successful running of banking business depends upon effective banks. As a new commercial bank FSIBL has a huge responsibility to ensure efficient and effective banking operation all over the Bangladesh in a sound manner with other Banks as a competitor. bank take deposits from the customers against some interest payments and lend the money to the borrowers with a different interest rate and time period. To ensure safety of the depositors fund there are various types of credit facility. Also bank must hold adequate fund to meet the daily needs of the clients. The First Security Islami Bank Ltd (FSIBL) is a 3rd (Third) generation is doing its business with a view to serve the best to the customers and clients with its 37 (Thirty Seven) Branches all over the country. Some different types of generation in Banking History included below. 1st Generation Banks: National Bank Ltd, IFIC Bank Ltd, The City Bank, Islamic Bank Bangladesh Limited. 2nd Generation Banks: Dhaka Bank, Al-Arafah Bank, Dutch-Bangla Bank Ltd, Southeast Bank Ltd, National Credit and Commerce Bank Ltd.
3rd Generation Banks: Standard Bank Ltd, One Bank Ltd, Exim Bank Ltd, Premier Bank Ltd, Bank Asia Ltd, Trust Bank Ltd, Mutual Trust Bank Ltd, Mercantile Bank Ltd.
To achieve practical knowledge about the banking sector of Bangladesh. To understand the concept of General Banking. To understand the objective and need of General Banking. To know the policies of the General Banking. To observe the Environment of the Banking Sector. To know about the Foreign exchange department and its influence in our economy. To collect all the necessary documents related to this report. Highlight the major problems in banking sector. To recommend for the better and more efficient management for each Banking Organization. During three months internship period I had used to gather information about our respective organization and make report based on collected information. In this due time I have tried to collect the related data to prepare this report. But with the short time span it’s quite hard to gather adequate knowledge and data on their overall activities. Also it was difficult go get the actual data and sufficient records, publication were not available. So this constrains narrowed the scope of the study. Unavailability of electricity was the major problem to finish off my study. The needed information to make this report of this organization are not adequate in their website. collecting cheques for his customers. Banking in the modern sense of the word can be traced to medieval and early Renaissance Italy, to the rich cities in the north like Florence, Venice and Genoa. The Bardi and Peruzzi families dominated banking in 14th century Florence, establishing branches in many other parts of Europe. Perhaps the most famous Italian bank was the Medici bank, set up by Giovanni Medici in 1397. The earliest known state deposit bank, Banco di San Giorgio (Bank of St. George), was founded in 1407 at Genoa, Italy. Banks can be traced back to ancient times even before money when temples were used to store commodities. During the 3rd century AD, banks in Persia and other territories in the Persian Sassanid Empire issued letters of credit known as Ṣakks. Muslim traders are known to have used the cheque or ṣakk system since the time of Harun al-Rashid (9th century) of the Abbasid Caliphate. In the 9th century, a Muslim businessman could cash an early form of the cheque in China drawn on sources in Baghdad, a tradition that was significantly strengthened in the 13th and 14th centuries, during the Mongol Empire. Fragments found in the Cairo Geniza indicate that in the 12th century cheques remarkably similar to our own were in use, only smaller to save costs on the paper. They contain a sum to be paid and then the order “May so and so pay the bearer such and such an amount”. The date and name of the issuer are also apparent. The word bank was borrowed in Middle English from Middle French banque, from Old Italian banca, from Old High German banc, bank “bench, counter”. Benches were used as desks or exchange counters during the Renaissance by Florentine bankers, who used to make their transactions atop desks covered by green tablecloths. The earliest evidence of money-changing activity is depicted on a silver Greek drachm coin from ancient Hellenic colony Trapezus on the Black Sea, modern Trabzon, c. 350–325 BC, presented in the British Museum in London. The coin shows a banker’s table (trapeza) laden with coins, a pun on the name of the city. In fact, even today in Modern Greek the word Trapeza (Τράπεζα) means both a table and a bank. ATM is a machine that dispenses cash and sometimes takes deposits without the need for a human bank teller. Some ATMs provide additional services. Video banking is a term used for performing banking transactions or professional banking consultations via a remote video and audio connection. Video banking can be performed via purpose built banking transaction machines. A bank can generate revenue in a variety of different ways including interest, transaction fees and financial advice. The main method is via charging interest on the capital it lends out to customers. The bank profits from the differential between the level of interest it pays for deposits and other sources of funds, and the level of interest it charges in its lending activities. Assets of the largest 1,000 banks in the world grew by 6.8% in the 2008/2009 financial year to a record $96.4 trillion while profits declined by 85% to $115bn. Growth in assets in adverse market conditions was largely a result of recapitalization. EU banks held the largest share of the total, 56% in 2008/2009, down from 61% in the previous year. Asian banks’ share increased from 12% to 14% during the year, while the share of US banks increased from 11% to 13%. Fee revenue generated by global investment banking totalled $66.3bn in 2009, up 12% on the previous year. The United States has the most banks in the world in terms of institutions (7,085 at the end of 2008) and possibly branches (82,000). This is an indicator of the geography and regulatory structure of the USA, resulting in a large number of small to medium-sized institutions in its banking system. As of Nov 2009, China’s top 4 banks have in excess of 67,000 branches (ICBC:18000+, BOC:12000+, CCB:13000+, ABC:24000+) with an additional 140 smaller banks with an undetermined number of branches. Japan had 129 banks and 12,000 branches. In 2004, Germany, France, and Italy each had more than 30,000 branches—more than double the 15,000 branches in the UK. Banks’ activities can be divided into retail banking, dealing directly with individuals and small businesses; business banking, providing services to mid-market business; corporate banking, directed at large business entities; private banking, providing wealth management services to high net worth individuals and families; and investment banking, relating to activities on the financial markets. Most banks are profit-making, private enterprises. However, some are owned by government, or are non-profit organizations. to capital market activities. Since the two no longer have to be under separate ownership, some use the term “commercial bank” to refer to a bank or a division of a bank that mostly deals with deposits and loans from corporations or large businesses. Community Development Banks: Regulated banks that provide financial services and credit to undeserved markets or populations. Savings Bank: In Europe, savings banks take their roots in the 19th or sometimes even 18th century. Their original objective was to provide easily accessible savings products to all strata of the population. In some countries, savings banks were created on public initiative, while in others socially committed individuals created foundations to put in place the necessary infrastructure. Universal banks, more commonly known as a financial services company, engage in several of these activities. For example, First Bank (a very large bank) is involved in commercial and retail lending, and its subsidiaries in tax-havens offer offshore banking services to customers in other countries. Other large financial institutions are similarly diversified and engage in multiple activities. In Europe and Asia, big banks are very diversified groups that, among other services, also distribute insurance, hence the term bancassurance is the term used to describe the sale of insurance products in a bank. The word is a combination of “banque or bank” and “assurance” signifying that both banking and insurance are provided by the same corporate entity. Three Nationalized Commercial Banks are dominating the Bangladeshi banking system, which together controlled more than 50% of deposits and operated about 3500 branches as of December 31, 2009. Ansar VDP Unnoyan Bank etc. All these are the major banks of Bangladesh. The First Security is a National Banking sector which was incorporated on the 29th August, 1999 as a Banking Company under the companies Act 1994 to carry on the banking Business. It obtained permission from Bangladesh Bank on 22nd September, 1999 to commence its Business. It has started its operation as a commercial bank on the 25th October, 1999 with a branch at Dilkusha. At present the Bank have 62 branches and 1 branch is in under construction which will be fully operational by 2010 hopefully. It renders all types of commercial banking service to the customers of the society with in the stipulations laid down the banking company act 1991 and rules and regulation are being compromised by Bangladesh Bank time to time. Diversification of products and services and innovation of products suited to the needs of the customers in keeping with relevant rules and laws have made it different from other commercial banks of the country. Corporate Banking and Personal Banking are the special strength of First Security Islami Bank Ltd (FSIBL). It maintains a strong relationship with all the banks of the country and all the customers of the bank. The First Security Islami Bank Ltd (FSIBL) is a solid, forward looking and modern local bank with a view to ensure sound performance. The effort that First Security Islami Bank Ltd trying to portray the bank as a brand image as very strong and successful. The general image is that it is the “Symbol of Security”. In 1999 the authorized capital of the bank was BDT 1500 billion and paid up capital was BDT 200 million. By the end of 2009 the paid up capital was BDT 2300 million. To be a unique modern islami Bank in Bangladesh and to make significant contribution to the national economy and enhance customer’s trust and wealth, quality investment, employee’s value and rapid growth in shareholder’s equity. foreign exchange. These banks are known as Authorized Dealers. If the branch is authorized dealer in foreign exchange market, it can remit foreign exchange from local country to foreign country. This is the survival unit of the bank because until and unless the success of this department is attained, the survival is a question to every bank. If this section does not properly work the bank it self may become bankrupt. This is important because this is the earning unit of the bank. Bank are accepting deposits from the depositors in condition of providing profit to them as well as safe keeping their profit. Now the question may gradually arise how the bank will provide profit to the clients and the simple answer is Investment and Advance. The terms “Bai-Murabaha” have been derived from Arabic words ‘Baiun’ and ‘Ribhun’. The word Baiun means purchase and sale and the Ribhun means an agreed upon profit. “Bai-Murabaha” means sale on agreed upon profit. “Bai-Murabaha” may be defined as a contract between a buyer and seller under which the seller sells certain specific goods permissible under Islamic shariah and the law of the land to the Buyer at the cost plus agreed profit payable in cash or on any foxed future date in lump sum or by installments. The profit marked-up may be fixed in lump sum or in percentage of the cost price of the goods. The terms “Bai-Muajjal” have been derived from Arabic words ‘Baiun’ and ‘Ajalun’. The word Baiun means purchase and sale and the word Ajalun means a fixed time or a fixed period. “Bai-Muajjal” means sale for which payment is made at a future fixed date or within a fixed period. In short, it is a sale on credit. “Bai-Muajjal” may be defined as a contract between a buyer and a seller under which the seller sales certain specific goods(permissible under Islamic shariah and the law of the country) to the Buyer at an agreed fixed price payable at a certain fixed future date in lump sum or within a fixed period by fixed installments. The seller may also sell the goods purchased by him as per order and specification of the buyer. Shirkat means partnership. Shirkatul means participation in ownership. When two or more persons supply equity, purchase and asset; own the same jointly, and share the benefit as per agreement and bear the loss in-proportion to their respective equity, the contract is called Shirkatul Melk contract. The term ijarah has been derived from the Arabic words Ajr and Ujrat which means consideration, return, wages or rent. This is really the exchange value or consideration, return, wages, rent of service of and assets. Ijarah has been define as a contract between two parties, the Hiree and Hirer where the Hirer enjoys or reaps a specific service or benefit against a specified consideration or rent from the asset owned by the Hiree. It is a Hire agreement under which a certain asset is hired out by the hiree to a hirer against fixed rent on rentals for a specified period. This is a sale contract between a buyer and seller under which the ownership of certain goods or assets in transferred by seller to the buyer against agreed upon price paid/to be paid by the buyer. Account opening, Account closing, Account transfer, giving bank statement, bank certificate, dispatch, issuing check book and savings book. B) Cash Department: The main tasks of the cash department are Receiving Cash from Clients and Paying against instrument. Instead it also maintains the locker service. C) Account Department: All kinds of preservation of documents/voucher, paying bills, paying salary is the main task of this department. D) Clearing Department: Receiving all kinds of inward & outward checks for collection/ payment, issue pay order/ pay slip is the main task of this department. The number of branches of the First Security Islami Bank is increasing by time. It is observed that in the year of 2005, the number of branches was only 12, but in 2007 it became as 20 and thus FSIBL increased the branches to 52 till 31stDecember,2009. So that, now the number of branches is 59 and two new branches are going to open as soon as possible. The statutory reserve of the First Security Islami Bank was Tk.84.45 milliom in 2005and it remained same figure in the year of 2006, it increased in 2007 as well as 2008 in succession Tk.96.16 million and Tk. 134.08 million. By observing above data and graph it can be said that in the year 2005 the number of employees in FSIBL was 423, but it decreased its employees in 2006 so it became 318 in number. Again, in 2007 FSIBL started to take employees so that the number of employees became at 412 and in the year 2008 it became 483, thus the number of employees in FSIBL was 775 which confirmed in the annual report of 2009. By observing above data and graph it can be said that in the year 2005, FSIBL’s importing amount is Tk. 6605.04 million as financial figure, Tk.7153 million in 2006 and Tk. 14344.44 million in 2007. But in the year of 2008 it decreased and downed at the figure Tk. 9287 million. In 2009, the financial figure of import became at Tk. 16101.17 million. By analyzing above data, we can say that, from the year 2005 to 2008, the export situation of First Security Islami Bank is good enough though in the year 2009 it decreased slightly. It increased to Tk. 4,145.00 million from Tk. 2,856.40 million. The financial figure of export of FSIBL is Tk. 3,549.00 million confirmed in the annual report of 2009. By analyzing above data, we can say that, from the year 2005 to 2008, the situation of remittance was improved from the year 2005 to 2008. In 2005 the financial figure of remittance was Tk. 62.21 million which became Tk. 558.84 million in the year of 2008. The asset of the First Security Islami Bank was Tk. 20,260.33 milliom in 2005and in the year of 2006, it increased to Tk. 20,4448.66 million, it increased in 2007 also. In 2008, it became Tk. 31,239 million. By observing above data and graph it can be said that in the year 2005, FSIBL’s investments & advances amount is Tk. 10722.32 million as financial figure, Tk13646.38 million in 2006 and Tk. 18616.22 million in 2007, Tk.25094.65million in the year of 2008. In 2009, the financial figure of import became at Tk. 38725.87 million. So we can include the FSIBL as one of the growing company in the banking industry of Bangladesh. From the above data we can conclude that, profit before tax and after tax of the FSIBL are in respectively Tk. 17.98 million and Tk. 9.88 million in 2005. But in the year 2006, this amount is in off situation. Again, in 2007, 2008 it increased as Tk. 58.53 million & Tk. 90.63 million. At last, in the year 2009, profit before tax of the FSIBL is Tk.650.83 million and after tax is Tk. 330.83 million as financial figure. From the above data and graph of the FSIBL, we can see, the deposit amount of FSIBL in 2005 was Tk.14012.17 million, in 2006 the amount of deposit was Tk. 17592 million as financial situation of deposit increased in2007 also and it reached at Tk.23504.04 million. Thus the deposit of FSIBL increased day by day and as a result it reached at the amount of Tk. 42423.09 million. So, as a growing company in the banking industry of Bangladesh is in better performance. Financial Highlights of First Security Islami Bank Ltd.
Islamic banking has the same purpose as conventional banking except that it operates in accordance with the rules of Shariah, known as Fiqh al-Muamalat. The basic principle of Islamic banking is the sharing of profit and loss and the prohibition of riba. Amongst the common Islamic concepts used in Islamic banking are profit sharing (Mudharabah), safekeeping (Wadiah), joint venture (Musharakah), cost plus (Murabahah). In an Islamic mortgage transaction, instead of loaning the buyer money to purchase the item, a bank might buy the item itself from the seller, and re-sell it to the buyer at a profit, while allowing the buyer to pay the bank in installments. However, the fact that it is profit cannot be made explicit and therefore there are no additional penalties for late payment. In order to protect itself against default, the bank asks for strict collateral. The goods or land is registered to the name of the buyer from the start of the transaction. This arrangement is called Murabaha. Another approach is EIjara wa EIqtina, which is similar to real estate leasing. Islamic banks handle loans for vehicles in a similar way. An innovative approach applied by some banks for home loans, called Musharaka al-Mutanaqisa, allows for a floating rate in the form of rental. The bank and borrower forms a partnership entity, both providing capital at an agreed percentage to purchase the property. The partnership entity then rent out the property to the borrower and charges rent. The bank and the borrower will then share the proceed from this rent based on the current equity share of the partnership. At the same time, the borrower in the partnership entity also buys the bank’s share on the property at agreed installments until the full equity is transferred to the borrower and the partnership is ended. If default occurs, both the bank and the borrower receive the proceeds from an auction based on the current equity. This method allows for floating rates according to current market rate such as the BLR (base lending rate), especially in a dual-banking system like in Malaysia. There are several other approaches used in business deals. Islamic banks lend their money to companies by issuing floating rate interest loans. The floating rate of interest is pegged to the company’s individual rate of return. Thus the bank’s profit on the loan is equal to a certain percentage of the company’s profits. Once the principal amount of the loan is repaid, the profit-sharing arrangement is concluded. This practice is called Musharaka. Further, Mudaraba is venture capital funding of an entrepreneur who provides labor while financing is provided by the bank so that both profit and risk are shared. Such participatory arrangements between capital and labor reflect the Islamic view that the borrower must not bear all the risk/cost of a failure, resulting in a balanced distribution of income and not allowing lender to monopolize the economy. And finally, Islamic banking is restricted to Islamically acceptable deals, which exclude those involving alcohol, pork, gambling, etc. Thus ethical investing is the only acceptable form of investment, and moral purchasing is encouraged. In theory, Islamic banking is an example of full-reserve banking, with banks achieving a 100% reserve ratio. However, in practice, this is not the case, and no examples of 100 per cent reserve banking are observed. Islamic banks have grown recently in the Muslim world but are a very small share of the global banking system. Micro-lending institutions founded by Muslims, notably Grameen Bank, use conventional lending practices and are popular in some Muslim nations, especially Bangladesh, but some do not consider them true Islamic banking. However, Muhammad Yunus, the founder of Grameen Bank and microfinance banking, and other supporters of microfinance, argue that the lack of collateral and lack of excessive interest in micro-lending is consistent with the Islamic prohibition of usury. Banking law is based on a contractual analysis of the relationship between the bank and the customer—defined as any entity for which the bank agrees to conduct an account. The bank agrees to pay the customer’s cheques up to the amount standing to the credit of the customer’s account, plus any agreed overdraft limit. The bank agrees to promptly collect the cheques deposited to the customer’s account as the customer’s agent, and to credit the proceeds to the customer’s account. The bank has a right to combine the customer’s accounts, since each account is just an aspect of the same credit relationship. The bank must not disclose details of transactions through the customer’s account—unless the customer consents, there is a public duty to disclose, the bank’s interests require it, or the law demands it. The bank must not close a customer’s account without reasonable notice, since cheques are outstanding in the ordinary course of business for several days. There are various types of accounts is First Security Islami Bank Ltd. These are listed and described below. Basically this type of account opened by the business organization or by any organization or by a partnership business for the purpose of business. No extra profit is given on the deposited amount. To open this account various types of documents are required. These are listed below. viii. 2 copy passport size photo of the account holder. If there are joint members then they need to also include 2 copy passport size photo of each to the form. ix. If it is a partnership business then Partnership deed, partnership letter, jointly operated signature must be enclosed with the Account opening form. Any time if arise any question of change in partner; the firm must inform the Bank. x. Memorandum and Articles of the Association. Valid Documents. Current accounts are opened with sum of money not less than Tk. 1000 in the name of the parties known to the bank or properly introduced by another account holder. The account holder must maintain at minimum balance of Tk. 1000/= all the time in the respected account. Only the form of Cheque Books supplied by the bank should be used. Application of cheque book should be made by the cheque requisition paper given in the cheque book from the inserted near the end of each book. Customers are always requested to keep cheque book under lock and keys. The bank will not be responsible in any way for unauthorized payment resulting mishandling of cheque books. In drawing cheque the amount must be written in words and figure distinctly and the cheque should be drawn in such way to prevent the insertion of any words. Constituents are requested to observe the same style of signature as the specimen left at the bank. No receipt will be recognized unless it bears the initial or signature of an officer of the bank. Cheque book, passbook, pay-in-slip charges Tk. 50/- if it has been replaced by the bank due to lost or damage. The bank reserves the right to close the account of any client for suspicious transaction or if the client provides misleading information about the client’s business profession, source of the transaction to the bank. The bank basically does not recognize trusts. The bank normally offers profit on the deposited amount monthly to the savings account. A minimum balance of Tk. 500/= must be maintained all the time in the account. Basically Savings accounts are used as non-business account or in other words it is a personal account. By the instruction of the Bangladesh Bank now a days each Bank is providing 7% profit or interest on the deposited amount in the savings accounts. The service charge may differ one Bank to another. But in case of FSIBL the service charge is only Tk. 200/- per year. Two (2) copy passport size photo of the account holder and one passport size photo of the decedents of the account holder. It is also a time deposit account. The formalities for opening this account are same as current account. The only difference is that, frequently withdrawal is discouraged and 7% interest is paid. Fixed deposit is the one, which is repayable after the expiry of a predetermined period fixed by the client. The period varies from One Month to 12 months. These deposits are not repayable on demand but they can be withdrawing able subject to a period notice. Normally the money on a fixed deposit is not repayable before the expiry of the fixed period. The prime objectives of this scheme are to encourage all class of people for building an important habit of saving. In this scheme, one can save a fixed amount of money every month and get a lucrative lump sum amount of money after five years, eight years and ten years. To open a MMSS Account the client has to use its specified form. No introducer is required to open this account. The Depositors can select any types of installment system from the chart. But he/she will not be able to change the system installment after opening the account. The Minor can also open the account under the guardian’s supervision in this project. One person can open one or more accounts. The time period may be same but the installment amount must be different or the installment amount may be same but the time period must be different. After the maturity the total amount will be paid after one week of the maturity period. 10% source tax will be deducted form the profit portion according to the rules of Bangladesh Bank. If the client changes his/her residual address then he/she must notify it to the bank. The client can transfer his/her account to another branch of the same bank. 100 Tk will be charged as transfer cost. If the client want to terminate the account before the maturity period then he/she will be get the profit at the rate of saving accounts. The nominee name and photo must be given in the form. Under this scheme depositor’s money will be kept for a period of seven years and the total amount will be double in the following period. This scheme is one of highest yielding deposit scheme in Bangladesh Banking System. This offer is very attractive for the person who has additional money in hand. By this account people can use their ideal money by which he can’t earn or can’t able or don’t feel secure to invest on business. Under this project his/her money can be fully secured with some benefit after the term period. On the submission of the requisition slip attached with the cheque book given during the account opening, the assigned person or the person authorized by the account holder will be given a cheque book. It is a general right for each account holder to close his or her account at any time if he /she is inconvenient to continue. But it requires also some formalities. The person needs to apply an application to the manager of the specified branch mentioning the reason for account closing also the date when he/she would like to close the account by paying Tk 250. as a closing charge. a)Inward cheque clearing: Whenever the branch of FSIBL receives a cheque from other Bank to collect money, then the branch send the cheque to the Head Office. The Head Office arranges the cheque separately by the name of different Banks and then it send to the respective bank for its clearing. Bangladesh Bank has given condition for this job of clearing house name HOUSE. This is done twice in a day. First house and return house. First house is to deliver the cheque and the collect cheques from different banks. And return house is to return the honored cheques. As soon as the principal branch gets the clearance it sends an Inter Branch Transaction Advice (IBTA) to the respective branch, who has send the cheque for collection. b)Outward Cheque Clearing: This is the opposite flow of the Inward Cheque clearance. When FSIBL send cheque to another person of another bank, that bank do the same things to claim the money from the First Security Islami Bank Ltd. with the same procedure. The clearing department will charge 100 Tk for this service. Drawn by a person who orders the bank to pay money from his account. The cheque must be written in the bank’s supplied printed cheque form. The cheque should be submitted with a specified date. The amount in words and figure must be same. The account holder must sign in the cheque. There should be sufficient balance to meet the cheque. If the date on the cheque date does not match. If the cheque is out of date. Whether the fund is not sufficient. Whether the account holder does not sign. On receipt of customer’s stop payment instruction. On receipt of the notice of a client’s death. If Account holders signature does not match. If the drawer is found guilty of a criminal offense under section 138 he would be punished with a imprisonment of one year of a fine to the extend of the twice amount mentioned in the cheque. The banker’s payment order or P/O means making payment of the banker’s own or of the customer’s dues locally and not for affecting any remittance to an outstation. In a sense the payment order is used for making remittance to the local creditor. The P/Os are in the form of receipt, which value against payment in cash or through an account. The payment order is not negotiable instrument and can’t be endorsed. The person intending to remit the fund through a bank draft has to deposit the money to be remitted together with the commission depends on the amount to be remitted. On receipt of the required amount long with duly filled on prescribed form the banker issues a draft and hand over it to the purchaser. When the remitter desires the banker does it through a mail transfer advice. The payee must have an account the paying office as the amount remitted in such a manner is meant for credit to the payee’s account and not cash payment. Cash section is the very important and most busy section for all Banks. So it has such importance in FSIBL too. This branch uses several moving cameras in cash to identify the movement of authorized person. Time factor is also vital for this section. Operation of this section begins at the start of the banking hour. Cash officer begins the transaction with taking money from the vault, it’s known as opening cash balance. Vault is kept in a much incumbent. The amount of opening balance is entered in the daily register. After the whole day’s transaction the surplus amount of money receipts in the cash counter is put back in the vault and it is known as closing balance. First Security Islami Bank Ltd has offered a broad array of innovative financial service to the customers specially designed to match the specific requirements of the clients. FSIBL has already launched the Online Banking services. FSIBL has also set up Wide Area Network (WAN) through radio, fiber optics and other available communication media system to provide any branch banking to its valuable clients. Under the schemes, the clients of one branch will be able to do banking transaction at any other branch of the Bank. As all branches are included through the WAN so there will be no need to make carrying cash. First Security Islami Bank Ltd has officially launched the SMS banking system from 17th December, 2007. Through this service client can sms his account numbers the banks no. for balance inquiry. After getting a balance inquiry request from a client the bank will sms his/her back with a respective answer. First Security Islami Bank Ltd. (FSIBL) provides ATM Banking facility against Mudarabah Savings and Al-Wadiah Current Deposit Account to their valuable clients. Clients can use their ATM card provided by First Security Islami Bank in Dutch Bangla Bank’s ATM Booth. As soon FSIBL is having its own ATM booth. For safe keeping the customer’s valuables such as important documents and goods like jewelries and gold ornaments. Locker services are available in most of the branches of FSIBL. By the end of the year 2010 each branch of FSIBL will have the locker services. To get this service the client have to pay an amount as rent for the locker monthly / half-yearly / yearly as contracted. Due to global economic recession, time is very much challenging and uncertain. Specially, this calamity become acute with eventual collapse of some major banking institution and massive dips in stock market indices across the globe. As a result, developing economy like Bangladesh economy deteriorated rapidly. Bangladesh represents a underdeveloped financial system which leads a slow economic growth. According to the international monetary fund, Bangladesh ranked as the 48th largest economy in the world in 2009, with a GDP of US$256 billion.Although Bangladeshi economy is based on agriculture, more than half of the GDP is belongs to the service sector such as transport, financial institution, real estate education, public administration, health, social and personal service. From the financial institution, banking industry is the most essential. The banking industry of Bangladesh is now highly competitive and challenging sector rather than previous period of time. Basically banking sector is involved with financial system. To have a healthy and vibrant economy it needs a financial system that moves funds from people who save people who have strong productive investment opportunities. And we know that, a country’s economic development means development the economy of a country which concern with trade, industry and wealth of the country. Despite sluggish economic senario, the FSIBL passed successfully with the help of their efficient and prudent workforce. Thus FSIBL has been able to close the balance sheet with an enormous pre-tax profit of Tk.750 million with an excellent growth rate of 300% while the whole financial sector faced a slowdown. Banking institution can create an impact on the economy through its general activities like deposit collection, giving loan, invest in different economic sector such as agriculture, garments, house building etc. export and remittance business. There is a link between financial system and economy. Without financial sector an economic system can not draw its growth. Banks are the most financial intermediaries and FSIBL is not different from them. General banking activities are like the flow of bloods of any bank which are practiced and operated to keep a bank alive. So, FSIBL is also having its own general activities like other banks. A/C opening, closing, loan and investment, ATM banking, locker service, SMS banking etc. In the society there live different people and they have different demands and needs. FSIBL is ready to serve them as their choice by offering various types of A/C such as Al- wadiah A/C, Mudarabah Special Notice A/C, Mudarabah Savings A/C, Mudarabah Monthly Savings Scheme. FSIBL offers different types loan and opportunity to invest and shares risk with the customers. Although, at first FSIBL was started as usual commercial bank in 1999, but after several year it was changed to a Islamic Bank and its principles developed based on Islamic Shariah. There are 90% muslim people in Bangladesh, they have islamic mind and culture. So that, FSIBL is giving opportunity the people to invest thus by collecting deposit from them and investing from different sector such as invest in industry developing and thus bank earn profits and share with it’s customer and shareholders, if failed then also be shared between them. ATM banking of FSIBL is not fully independent. It does an agreement with Dutch Bangla Bank Limited. So thus the customer of FSIBL who want to hold ATM card they have to give service charge yearly Tk.300 and it also a way of earning and adding in GDP of the country. Like other successful bank FSIBL also has SMS banking so that customer can know about the status of their A/C and make their transaction, as always other types of services of the bank. So that, it is saving more time consuming and is able to serve many customers in a little time and get opportunity to concentrate in other objectives. 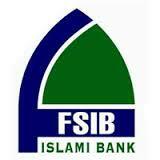 FSIBL is one of the 3rd generation bank. Despite of this it increases it’s branches within a short period of time. That’s why at present FSIBL have 62 branches. Along with this, it recruits skilled and experienced people as employee and arrange training program for them who are not skilled enough. Thus it decreases the unemployment problem of the country which is helping indirectly to enlarging the growth rate of GDP. FSIBL is giving services through Ahsania Mission to the root level people in easier way and low cost. It also keep valuable products in safe by providing locker service. In this service, people are getting safety. On the other hand, bank earns profits by making service charge from the customers and obviously by giving better service. On the other side, we can relate import and export of a country with its economical consideration. So, thus, it is observed the import, export and remittance business of the FSIBL. From the annual report-2009, it is improved!!! Import trade finance by FSIBL rose to Tk. 1610.17 crore in reporting year compared with Tk. 928.70 crore in 2008. Large LCs are opened mainly for importing rice, wheat, edible oil, fertilizer, capital machinery, fabrics and accessories. FSIBL successfully handled export documents of Tk. 3549 million during the reporting year compared with Tk. 4145 million in the year 2008. Readymade garments, frozen foods, fish, tanned leather, handicraft etc. From the last report we know that, foreign remittance of the bank stood at Tk. 558.7 million as of December 31,2009 as against Tk. 585.8 milllion in 2008. So that through the Foreign Exchange service of FSIBL the people of Bangladesh can well served the bank has taken initiatives to make remittance arrangements with some leading exchange houses at abroad. And it is the news that, FSIBL is going to open its Exchange House in the Italy as soon. Although FSIBL is a corporate citizen of Bangladesh, it has also some social responsibilities. Thus. First Security Islami Bank is aware of its corporate social responsibilities It supports to the development of community through promotion of culture, sports, educational program and disaster and treatment aid of the distressed people. The bank actively participates for promotion of the sports, religious events and cultural activities. Recently bank has donated Tk. 25 lacs to the Aila fund, Tk. 28 lacs to the Bangladesh Association of Banks for BDR carnage and Tk. 50 lacs to the Port City League (PCL). The FSIBL is also introducing FSIBL foundation very soon. To mitigate the sufferings of Aila victims, First Security Islami Bank Limited has donated Tk 10,00,000/- only to Prime Minister’s Relief Fund. First Security Islami Bank Limited with the assistance of Bankers Forum organized an eye camp for the orphans of DhakaCity. As a part of Corporate Social Responsibility, First Security Islami Bank Limited has donated an ambulance to Baitus Sharaf ShahJabberiaHospital. By considering the above information we can make a conclusion that FSIBL is one of the first growing bank which has a impact on developing the economic condition of Bangladesh so it is doing well in foreign exchange service, export & import Business, economic sector wise investments as well as having corporate social responsibilities. First Security Islami Bank Limited ( FSIB) was incorporated in Bangladesh on 29 August 1999 as a banking company under Companies Act 1994 to carry on banking business. The sharia compliant banking activities of the bank encompass a wide range of services including accepting deposits, making loans, discounting bills, conducting money transfer and foreign exchange transactions, and performing other related services such as safe keeping, collections and issuing guarantees, acceptances and letter of credit. First Security Islami Bank Ltd. Momentum Gather on its performance after weak image by establishing its quality services & wider operations specially in financing area both in SME & Corporate Finance. Since First Security Islami Bank Ltd. has improve its service quality tremendously therefore it must continue to ensure more quality services. Islamic Banking operations run on profit loss sharing basis which needed real knowledge on Islamic philosophy and Islamic economy, but First Security Islami Bank Ltd. just stated its business on shariah based from 2009, therefore they have to face number of problem in operation, although they have improve their service from the on job experiment rather than previous period of time. FSIBL have started its operation as an Islamic bank with the previous executives & staff, therefore they takes time to acquaintance with shariah related rules & regulation. Human resources are not as much efficient as needed for improvement of the service. This bank needs more manpower to accomplish its operation effectively & it needs to improve its IT sector also. There are no available technology to operate their operation in every branch. Islamic Economy is required to executed real islami banking practice; Bangladesh economy does not cover real practice of islami banking although 90% people of Bangladesh are Muslim in religious status. Profit Loss Sharing based Banking does not have the chance to bankruptcy of one party but it must be compile properly. Investment system of First Security Islami Bank Ltd. has highly time consuming from the borrower perspective to hamper their operation. There is no proper use of media & other means. The need for regulation and uniform supervisory of Islamic Banks. Issues of risk management and guidelines on risk weight of assets. Capital adequacy, liquidity management and issues of controlling of the asset side of Islamic banks. Issues in profitability and good governance. The necessitate of adoption of new financial methods to Islamic banks.